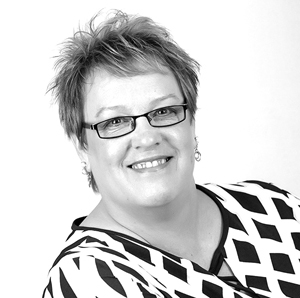 Fancy Friday Blog Hop…CASE the Occasions Catalog! Welcome to the Fancy Friday Blog Hop! 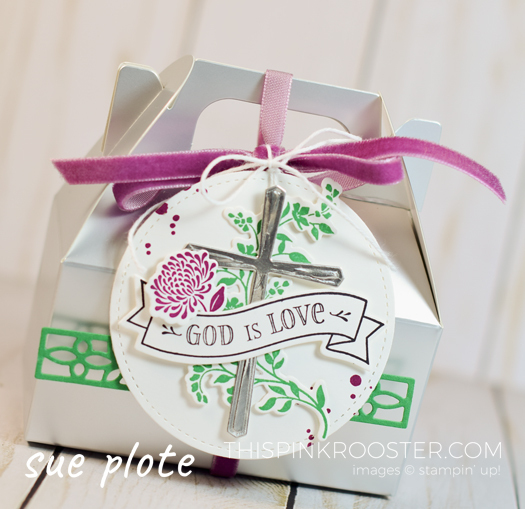 It’s a super fun hop…AND I to get to work with some Fancy friends…who also happen to be past or current Stampin’ Up! Artisans! On the last Friday of each month we hop with a new challenge…and this month’s challenge is all about CASEing the Occasions Catalog! If you’re new to stamping you might wonder what a CASE is. Well…to CASE is to copy and share everything. You search for inspiration…find an idea you like…and make it your own. It’s always important to give credit where it’s due, too…and in this case the credit goes to the amazing concept art in the Occasions Catalog! Let’s check out my inspiration. 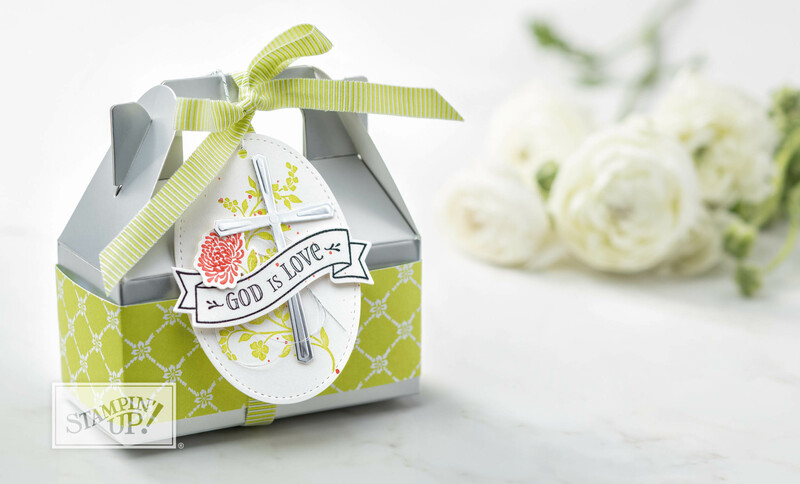 I was totally inspired by this gorgeous gift box…created using the Hold on to Hope Bundle…and shown on page 27 in the Occasions Catalog. But…I wasn’t only inspired because the box is so pretty. 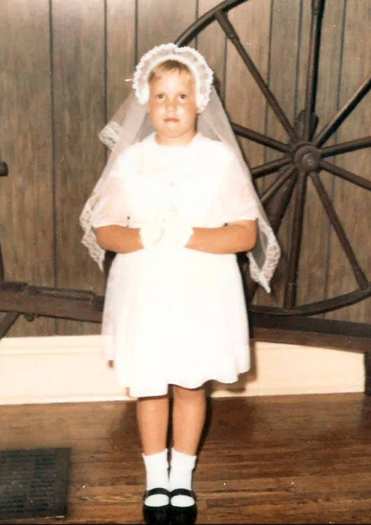 I was also inspired because it reminded of so many wonderful memories and family traditions…like my own First Holy Communion! Goodness…it was so many years ago…but I can still remember how proud I felt that day. and I hope that our grandaughter will wear it, too. While all of those wonderful memories were fresh in my mind…and just in case…I thought I’d get a head start on creating something special for her gift packaging. I already know what we’ll give her…but that’s a secret for now! I created her box first…starting with the tag. 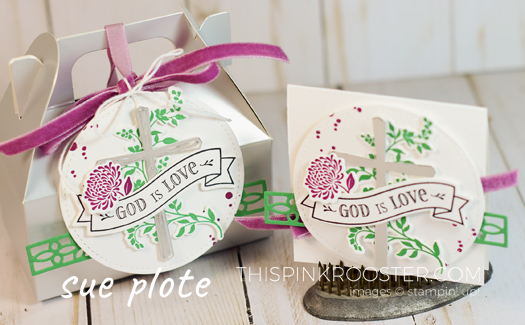 I stamped the flower image in Rich Razzleberry ink…the banner sentiment in black ink…and the floral sprig in Call Me Clover ink…all on white cardstock…and die cut everything using the coordinating framelits. I also cut the solid cross in silver foil…arranged the die cut elements…and placed them on a Stitched Shapes Framelits circle. 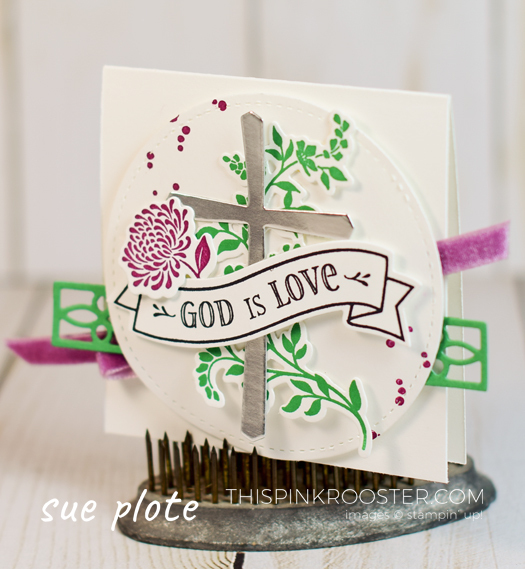 I cut the detailed cross in Call Me Clover, twice…trimmed them…and added them to the tag. I assembled the gable box…wrapped it with velvet ribbon…and added the tag using white baker’s twine. For her card I simply recreated the tag…added a bit of velvet ribbon behind the detailed cross die cut…and placed it all on a 3×3 card base. Simple…and lovely!